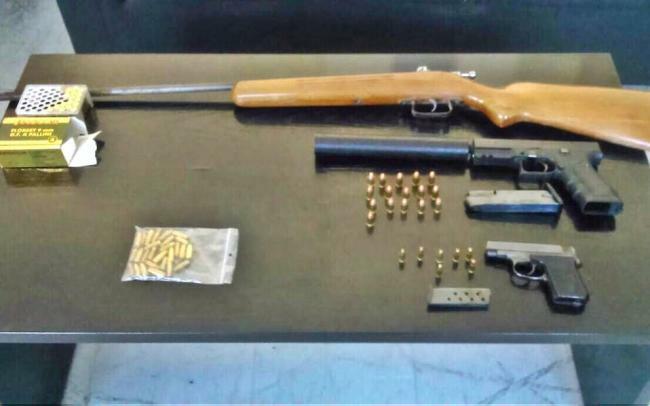 Police seized guns and ammunition from a mosque in Xanthi on Tuesday, after authorities were tipped off reports ANA-MPA. In the mosque located just over an hour-and-a-half away from the Turkish border in the village of Iliopetra, police found a .22 pistol, a .38 pistol with a silencer, and a Flobert hunting rifle along with thirty cartridges. Following the raid all findings were sent to the Forensic Service's laboratories in Athens, and the imam was arrested for the possession of illegal weapons and to be questioned over the matter. He was due to appear before a local prosecutor on Tuesday, reports Kathimerini. With tensions currently running high between Greece and Turkey, the case has been brought to the attention of the Citizens' Protection Ministry and to senior government officials.